In brief: Roughly three years ago, my “regimen” consisted of haphazardly removing my makeup with wipes (if I could be bothered to remember, which most of the time, I couldn’t). 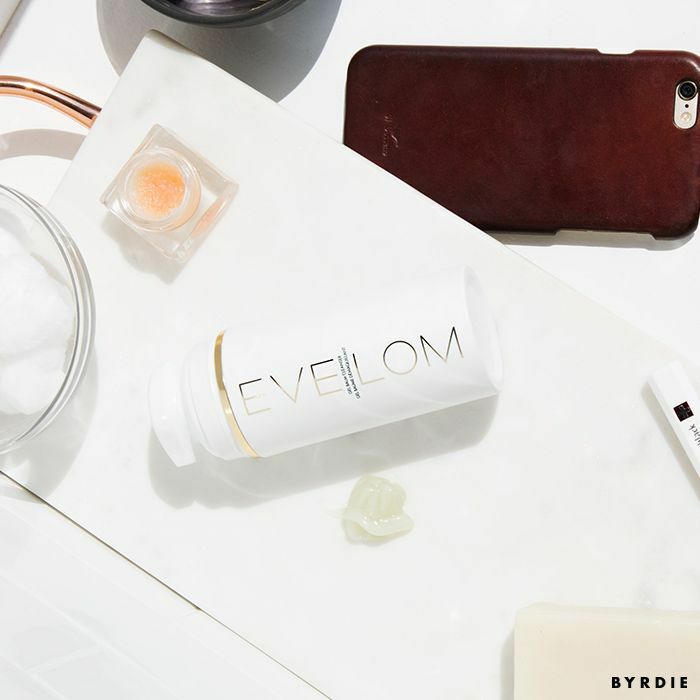 But I couldn’t ignore the buzz around Eve Lom’s best-selling cleanser, and after giving it a try on a whim, I was suddenly hooked—not just on this luscious, transformational product, but on the idea of skincare as a whole. I am now borderline obsessive about the way I care for my complexion, and of the hundreds of products I’ve cycled through at this point, that cleanser remains one of the few steadfast favorites. The original product itself is fantastic, in my humble opinion—gentle, luxuriously textured, and deeply hydrating, even on my perpetually dehydrated skin. But what I’ve always appreciated most about it is the ritualistic way it’s meant to be used. Every Eve Lom Cleanser ($80) comes with a muslin cloth and detailed instructions. You apply the cleanser to your face, soak the cloth in hot water, and hold it up to your face. The steam helps the cleanser lather up and dislodges stubborn grime from deep inside your pores. You repeat these steps a few times until suddenly, you realize your skin is both spotless and baby-soft. You’re essentially giving yourself a small facial every time you cleanse—a far cry from my half-assed wipe habit, that’s for sure. But I will admit that while I have the routine down to a science at this point, it’s still not the most time-effective habit, especially on hectic mornings when I’m just trying to get myself out the door. And that’s the chief selling point of the brand’s new Gel Balm Cleanser ($60), which essentially pares down the original formula into a highly convenient alternative, down to the packaging: This iteration is housed in a handy pump bottle. You simply massage the product onto wet skin and rinse. No repeats, no steam, no muslin cloths. Shortcuts are great, but cutting corners typically implies some kind of sacrifice. To be clear, I imagined that the Gel Balm Cleanser would be good—great, even—as Eve Lom’s products typically are. But to deliver the same results as the original without the same kind of dedicated application process—it couldn’t possibly add up, could it? As with the original, the base of shea butter and grapeseed oil (as well as a heavenly assortment of calming essential oils) works itself deep into pores to dislodge grime, grease, and makeup without stripping the skin's moisture. But the genius gel-to-balm texture makes for easier (and cleaner) application, eliminating the need for my muslin cloth. This isn't to say that I'm ready to give up that multi-step ritual; on days when my skin needs a much more thorough cleaning, I still stand by the original formula and its accompanying routine. But as someone who doesn't wear a lot of makeup and also tends to always be running late, this is the daily option I didn't know I needed. To be able to not only clean but pamper my skin in a minute flat is a revelation I am more than willing to pay good money for. Next up: Check out nine other cleansing balms I love.